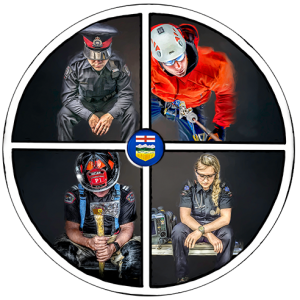 The ACIAC provides advice on the development, training, maintenance and sustainability of a peer-support model specific to first responders in the province of Alberta. The ACIAC’s purpose is to provide consultation, education, resources and support to Provincial first responder personnel, and to develop, support and advise on a standardized province-wide approach to best practices for critical incident response. The ACIAC shall be open by way of membership to a steering committee with representation from stakeholders in the provision of Peer Support to first responders in the province of Alberta and may include members from other jurisdictions where equitable mutual aid and service agreements may exist or be developed. The expressed purpose of this steering committee is to provide a network of Critical Incident Stress Management – Peer Support teams, service providers, trainers and resources utilizing the ICISF CISM Model to enhance crisis response within the Province of Alberta to first responders. ACIAC membership will meet at least two times a year to review current issues and to provide recommendations to its members.